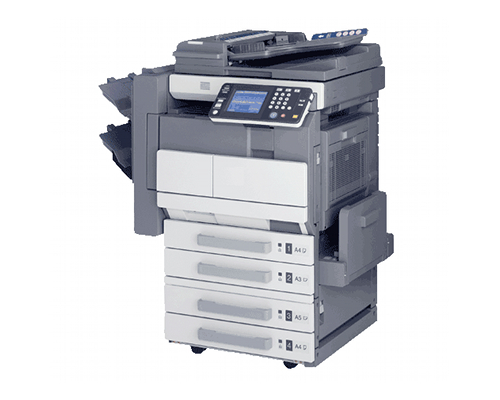 The Konica Minolta Di2010f is a multifunction copier designed to meet the needs of small to medium sized offices and businesses looking for a cost-effective alternative to high-end and expensive multifunction devices. With functionality that includes networking, reliable printing, faxing, copying and scanning, and a wide array of customization options, the Konica Minolta Di2010f is one compatible solution for lowering costs without compromising quality and performance. For a low cost multifunction device, the Konica Minolta Di2010f still packs respectable features that can challenge a number of high end multifunction devices out in the market. Print and copy speeds are at 20 pages per minute, with a resolution of 600 x 600 dots per inch. Prints and copies are viable for 8 x 11 inches for portrait and landscape modes, 8 x 14 inches for legal, and 11 x 17 inches for ledger. The Konica Minolta Di2010f uses electrostatic dry powered image transfer for its imaging system, ensuring that quality text, images and graphics are produced. First copy speed for the Konica Minolta Di2010f is at approximately 5.3 seconds of less, with impressive warm up time of 17 seconds or less. For its memory, the Konica Minolta Di2010f has a standard 32MB, capable of 170 pages, upgradable up to 128MB, and a hard disk with a maximum capacity of 40GB for up to 4,000 pages. Fax system for the Konica Minolta Di2010f has a modem speed of 33.6 Kbps, with transmission speeds running at less than 3 seconds per page. It features a rich dialing option, with up to 540 one-touch dialing locations and broadcast capabilities of up to 300 destinations. Scanning system uses CCD line sensor, with impressive scanning speeds of up to 70 sheets per minute, which is quite up to par with other high-end multifunction printers. Magnification can be done with 1% increments, between 25% to 400% zoom range options. Its preset reduction options are at 50%, 65%, 73%, 79%, 93%, while enlargement presets are 121%, 129%, 155% and 200%. Exposure modes are auto, text, photo, text/photo and manual, with original size up to 11 x 17 inches maximum. Paper handling for the Konica Minolta Di2010f is extraordinary considering it’s a low cost multifunction machine. Its maximum paper capacity stands at 4,000 pages, with two 550-sheet universal drawers and a 150-sheet intelligent bypass for its standard paper supply. Optional paper supply for the Konica Minolta Di2010f include a 550-sheet universal paper drawers plus storage drawer, additional two 550-sheet universal paper drawers and a 2,750-sheet large capacity cabinet for letter type papers. The Konica Minolta Di2010f, though being a worthy alternative to other more expensive models in the printer market, could use some improvements in its arsenal of features. While quality images can be produced with a true 600 x 600 dpi, it is relatively lower to standard resolutions available in other models. Its print and copy speed can also use significant improvements considering other multifunction machines have double the speeds of the Konica Minolta Di2010f. 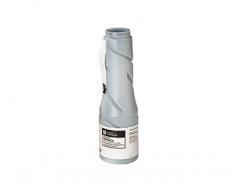 Its power consumption is also quite high for a multifunction device, with a maximum consumption of 1340 watts. For its multiple copy feature, the Konica Minolta Di2010f is only capable of 1-99 copies, quite low as some machines offer up to 9,999 multiple copies. 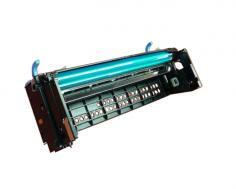 Duplex option is also only optional, a feature which is usually a standard among multifunction printers. Though for a low cost printer that coughs up low print and copy costs, the Konica Minolta Di2010f is already packed with features that prove to offer a lot more value than what its price tag suggests. Review it: "Konica Minolta Di2010f "
The Konica Minolta Di2010f comes in with an ink toner cartridge that yields 14,000 pages at a 5% coverage, weighing 420 grams. Ink toner cartridge feature is standard for Konica Minolta Di2010f’s capability for paper handling and print/copy production. Drum unit yields an approximate 100,000 pages. Replacements for its drum unit must be made every other 100,000 pages of consumption.